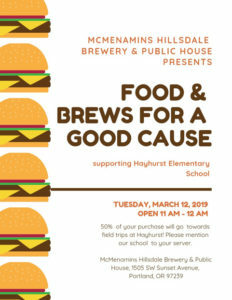 Our Restaurant Fundraiser at Mcmenamins is on Tuesday, March 12th from 11-12 AM at Mcmenamins hillsdale Brewery & Public House. 50% of each purchase will be donated to Hayhurst! 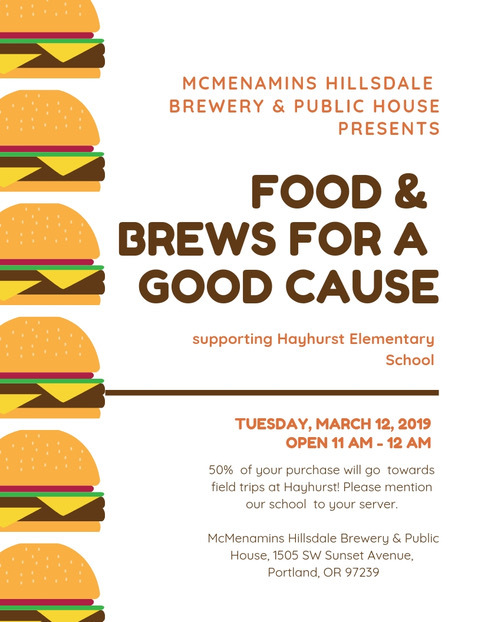 Please make sure to mention Hayhurst to your server!